The room was huge and clean. The staff was always helpful and polite. Maybe the room service can be improved due to 1st day no replacement of water and shampoo. Second day missing toilet Papier. But the room was well cleaned! The hotel is easily located by grab. The area is very safe and few walks away from eating places. We arrived very late to to our flight delay. The hotel was so wonderful and amazing they upgraded us to VIP suite for our inconvenience ( that wasn’t even their fault) it might be the best hotel I’ve ever been in. AMAZINg! Oh, and their breakfast! YUM!!!! Good selection of breakfast and walking distance to the Silom. 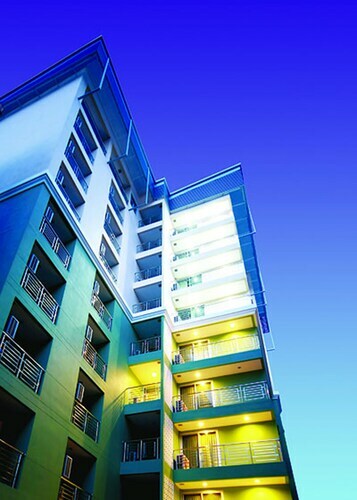 It is conveniently located at Silom, about 10 mins walk to the nearest BTS Chong Nongsi Station. 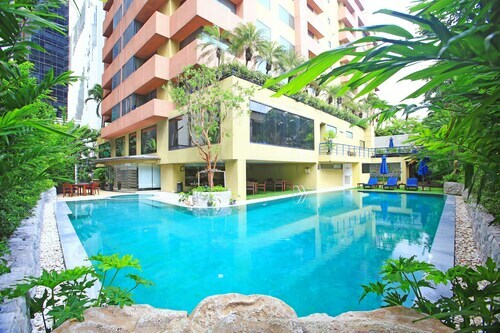 Nearby to Silom and Surawong roads with train and shopping areas about 15/20 mins away. The walking distance to Silom was fine and there is an MRT station nearby. During the daytime, Silom-Sathorn is one of Bangkok’s most important financial districts, boasting a high skyline that is busy with suit-wearing locals. However, after the sun goes down, the district transforms into a thriving area full of bars, pubs, lounges and markets. 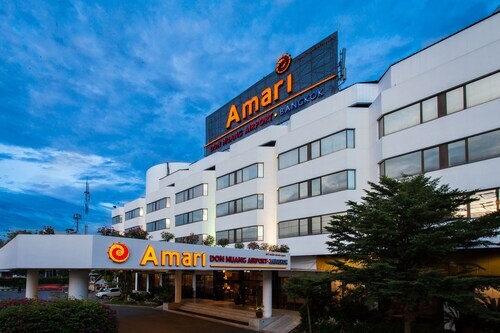 It’s a great part of Bangkok to explore, and now tourists can also base themselves here, as several high-end hotels have been built. Silom-Sathorn has a range of activities that will keep visitors of all ages entertained. At the eastern-end of Silom Road, visitors will find Bangkok’s most adored public park, Lumpini Park. The leafy grounds are great for escaping the urban heat of the city. Kids always have fun on the lake’s paddle boats, and several playgrounds are found throughout the park. The Silom area is home to many traditional massage parlours and beauty shops. Visitors will be able to enjoy a body scrub, facial treatment or massage, at very decent prices. Of course, the sois around Patpong offer a different type of massage for adults. Tourists interested in culture and art will find the to be an excellent landmark. This contemporary art museum boasts artworks from some of Thailand’s most renowned artists. This site even has an overseas following. Sathorn has a large number of excellent dining options, especially in the hotels like Banyan Tree. Local restaurants generally serve Thai cuisine. In the Silom area, visitors will find many Western fast-food and sit-down restaurants, including Sunrise Tacos, Burger King, KFC, Subway and McDonalds. There are also several bars offering fantastic pub food. Patpong is the centre of Silom-Sathorn’s night life, with many go-go bars operating each night. 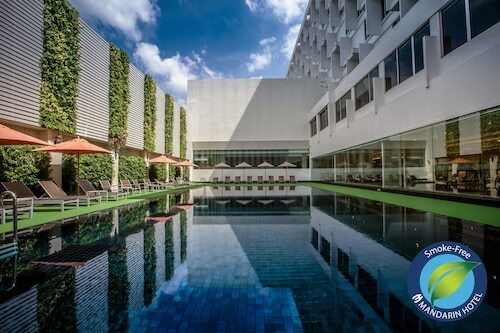 Sathorn is not renowned for its shopping facilities, but the Silom area certainly makes up for Sathorn’s limited options. As the sun sets over Silom, the Patpong sidewalk and sois become overrun with stalls offering a range of items. Tourists can pick up cheap DVDs, clothes, sunglasses and handicrafts. Several shopping malls are also located in Silom, including a Central Plaza and Robinsons.